I like collecting proof coins because they’re usually exquisite, collector-quality examples of the coins that I find in my pocket change. But what about proof coins that are less than perfect? 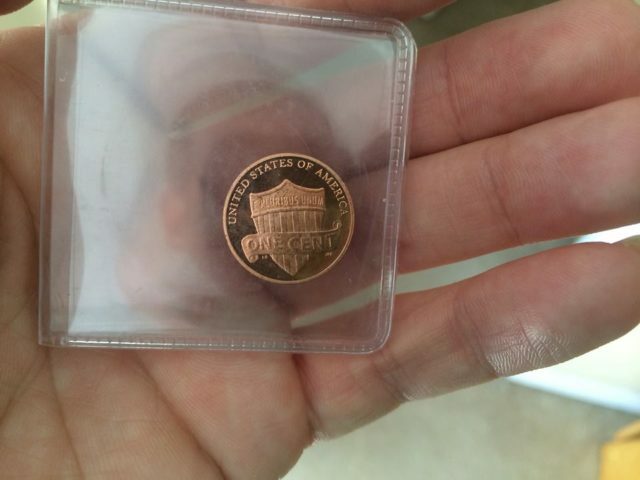 Unfortunately, not every proof coin is kept in the best condition. Many are mishandled. Sometimes they’re even spent just like they were regular pocket change. The brilliant, reflective surfaces of most proof coins are very sensitive, so even the slightest touch from the tip of a finger can permanently damage the surface of a proof coin. Eventually, that fingerprint mark on the coin will turn into a smudgy blemish. Touching the surface of a proof coin with your bare fingers isn’t the only way you can damage proof coins. Sometimes, a proof coin can be blemished when it’s removed from its government packaging. So if impaired proof coins are so ugly, why do people go about handling them (and potentially damaging them) in the first place? Many coin collectors remove proof coins from their original holders because they want to place the single proofs into albums or sets. This is especially commonplace for coin collectors who collect series such as Jefferson nickels or Washington quarters. Each year, as the U.S. Mint produces new proof sets, collectors will buy the sets and break them up specifically to put the newest proof specimens of their favorite coins into separate albums or holders. I collect Lincoln cents and buy the new S-mint proof penny each year so I can put it into my growing album of Lincoln pennies. Surely, the best way to handle a proof coin is to leave it in its original holder. But that’s not always the case as we collectors sometimes need to remove them for the reasons described above. Earlier proof coins (those made before 1956) didn’t really come in permanent holders, so they’re almost always found as “singles” or in aftermarket displays. As you would imagine, you have to be careful with handling proof coins — because once they’re out of their original holders, they can get damaged really easily. From smudges and scratches to nicks and dings, proof coins are super sensitive to any form of mishandling. Wear gloves whenever removing proof coins from any holder or putting them into a new one. Do not sneeze, talk, or breathe heavily near proof coins. If saliva droplets land on the surface of the proof coin, they will create very unsightly (and quite permanent) spots. Handle proof coins over soft surfaces — such as a pad or cushion — to minimize any damage if a coin should drop. Do not insert proof coins into coin folders or any other “open air” coin display. Instead, place them into two-sided coin albums (the kind with the clear sliding inserts) or Lucite (a.k.a. acrylic) sandwich-style coin holders. Keep proof coins in a cool, dry place to avoid undesirable toning. Is It Worth Collecting Impaired Proof Coins? The answer to this question is yes – every coin deserves a good home. Impaired proof coins are usually much more affordable than their rather problem-free counterparts. Impaired proof coins, like cull coins, make great album or display hole fillers until you can afford to buy a better specimen. Affordability is one huge reason why some people will choose impaired proofs and other types of damaged coins over nicer-looking specimens. In some cases, impaired proofs might have only minor surface blemishes that barely even detract from the overall quality of the coin, making them great for budget coin collecting. Figuring out how much you’ll save on buying an impaired proof really depends on how bad the damage is. A slight smudge toward the rim of the reverse is much less damaging to eye appeal than, say, a large scratch from a 2 x 2 staple across the face of the bust on the reverse! 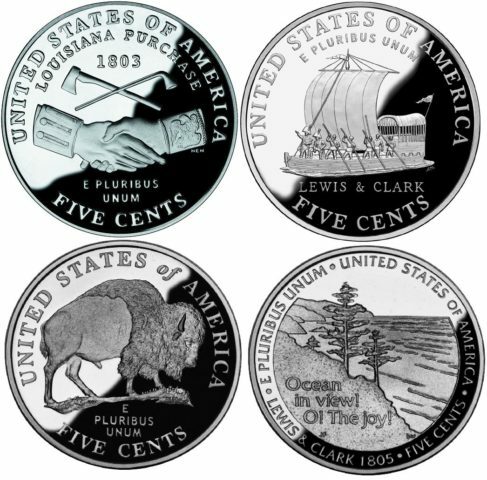 Impaired proof coins are great candidates for inclusion in budget-conscious coin sets. Less-than-perfect proof coins are almost always acceptable when talking about older proof coins — especially those made in the 1930s, 1940s, or 1950s. In the end, it’s up to you. If you like an impaired proof coin and it fills your coin collecting need without breaking the bank, then go for it. Virtually all coin dealers have some impaired proofs on hand. Many times you’ll find them floating around the discount box.